Django is a high-level Python Web framework that can help you get your Python application or website off the ground. It includes simple development server for testing the code locally, but in the production environment, a more secure and powerful web server is required. uWSGI is an application server container that aims to provide a full stack for developing and deploying web applications and services. It communicates with a variety of other protocols with the application using the methods defined by the WSGI spec. 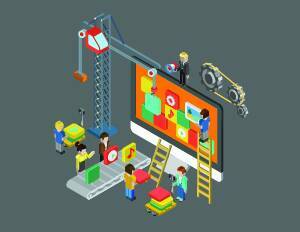 It is the piece that translates requests from a web server into a format that the application can understand. virtualenv is a tool to create isolated Python environments. It creates a folder which contains all the necessary executables to use the packages that a Python project would need. It keeps the dependencies required by different projects in separate places, by creating virtual Python environments for them. Deploying Django application and configuring the uWSGI application container server to interface with our application and setting up Nginx to reverse proxy to uWSGI in order to achieve greater security and performance features to serve our apps. 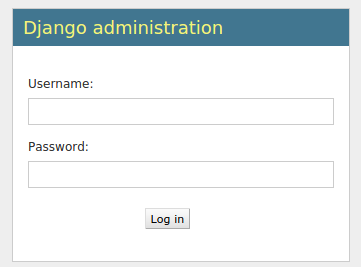 We will be installing our Django application in its own virtual environment in order to isolate the requirements for the project. An Ubuntu 14.04 server instance with a non-root user with Sudo privileges configured. description "uWSGI application server in Emperor mode"
Now, we can test our application by going to the domain name or public IP address. We set up Nginx to act as a reverse proxy to handle client connections and serve the Django application running on uWSGI application server. Thanks a lot, writer ! You the man who help me in that area for which I am waithing. I need to know how to configure a home server for running django application. Though I have not implemented it yet but I just stranged that how easy this ! Actually is this easy like described before ?